Being a parent of a young and rambunctious toddler is not an easy task. Park City mom Lina Singleton knows that as well as anyone, so she wanted to make the job a little less challenging for fellow parents. 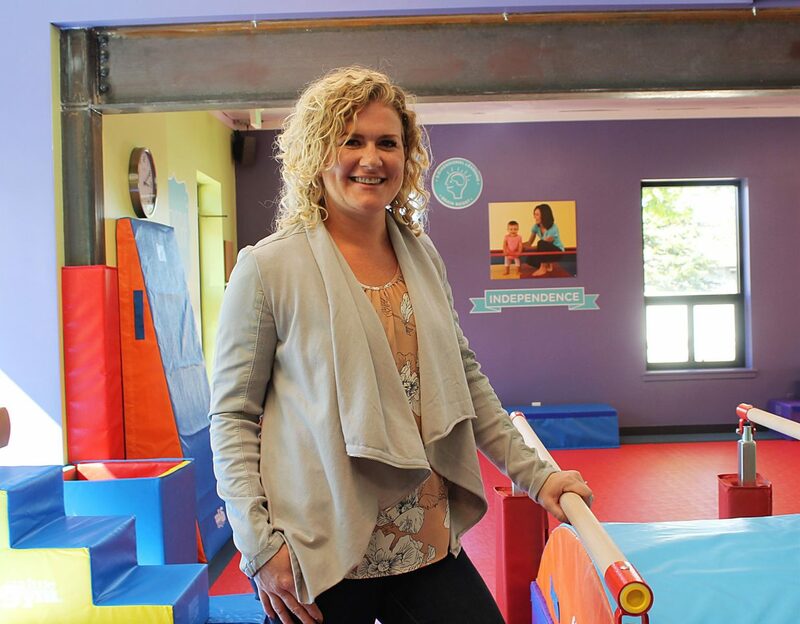 She recently opened The Little Gym of Park City, where kids ranging from infants to 12-year-olds can leap, swing and tumble while practicing their listening and cooperation skills. The children’s gymnastics gym is part of an international chain with five locations in Utah. Singleton, a mother of two daughters, grew up constantly surrounded by young children. As a youth, her mother started the Soaring Wings International Montessori School out of their home. Later, Singleton worked for the school as the director and supervising teacher for 13 years. There, she said she learned to create individualized experiences for each student to set them up for success. While working there, she started to have kids of her own. When her daughter was 3, she enrolled her in a class at The Little Gym in Salt Lake City, where she and her family were living at the time. Her daughter loved the classes, and Singleton loved that her daughter was building confidence through gymnastics. Three years later, her daughter was on the gym’s performance team and did not want to quit, even when the Singleton family moved up to Park City last August. Singleton drove her daughter to the class so she could continue participating and, on her last class, her daughter asked if they could open a gym in Park City. He was immediately on board. Singleton reached out to The Little Gym’s headquarters last fall and met with some of the company’s leaders to talk about opening a gym. They agreed and sent her to some trainings in the spring while Singleton was looking for a space to house the gym. In April, a friend who owns property on Iron Horse Drive recommended that she take over the space the Christian Center of Park City was using for its boutique while undergoing a renovation. Two months later, Singleton got the keys to the building. “Things fell into place quickly,” she said. She spent the summer remodeling the space to fit the gym and an accompanying room for events, such as birthdays. The business plans to have its open house on Sunday, Sept. 23 and start teaching classes on Tuesday, Sept. 25. Singleton said she chose to open The Little Gym because she wanted to offer parents a place in Park City for infants and young children to play. She knew there was a need in the community, which is why she started the infant program at Soaring Wings Montessori a few years ago. The new Little Gym offers classes for parents and their children that is open to kids as young as 10 months old, and hopes to expand the age range to as young as 3-month-olds next year. “This is what Park city is missing. This is what Park City needs,” she said. Plus, she found The Little Gym’s values closely lined up with her own, focusing on health and wellness in kids while promoting exploration and self-driven learning. The Little Gym offers classes, camps and “parent survival nights,” where parents can drop their kids off for a couple hours so they can get some time to themselves or with their significant other, Singleton said. Teachers work with the kids to teach them basic gymnastics. Singleton said the process to open the business has been hard but rewarding so far, just like raising kids. “I put everything into it so you just hope things will work out,” she said.